Discover the culturally-inspired creations of local New American designers on the red carpet! This is our third show and this year, we've added a new twist: the designers will compete for the Top New American Designer title. 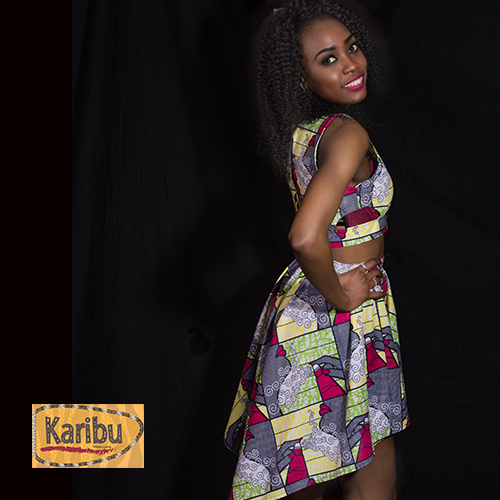 ﻿Karibu (Welcome in Swahili) is an annual fashion show organized by the Champlain Valley Office of Economic Opportunity (CVOEO) celebrating the cultural diversity of the New American community in the Burlington area. This benefit event is a fun way to raise funds for our programs for New Americans and to put the spotlight on our new neighbors’ vibrant cultures and creativity. And you'll get a chance to sample street food from New American vendors, courtesy of City Market! Another bonus? There is ample free parking available around the venue, North End Studios. ABOUT US: CVOEO addresses fundamental issues of economic, social, and racial justice and works with people to achieve economic independence. *Refund policy: You can request a refund until May 2, 2019. After May 2, there will be no refunds. Free parking: Parking lot adjacent to the studio and street parking available.